Happy Day 2 of filming on Shadowhunters! 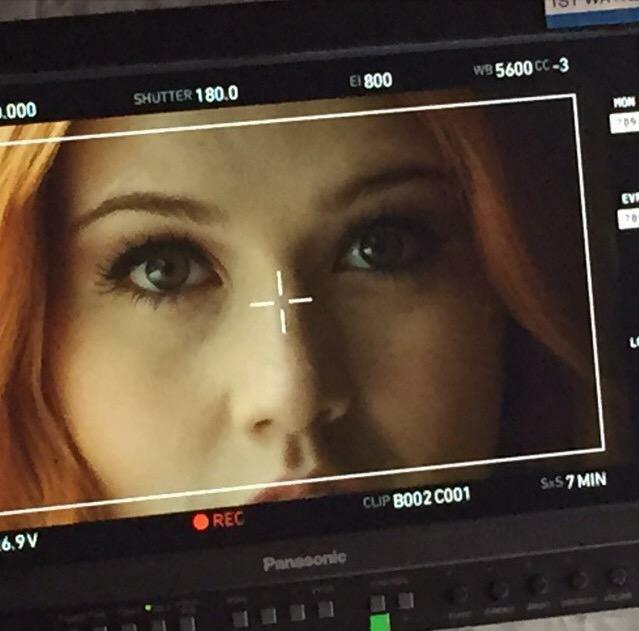 While we haven’t gotten as many photos and tweets from the set as we did on the first day of filming, we did get an awesome photo from filming of Katherine McNamara as Clary Fray with those trademark green eyes and that fiery red hair, courtesy of Cassie Clare. The first episode, “The Mortal Cup,” will be filming for 11 days. So there’s still 9 shooting days to go on the series premiere episode. Shadowhunters premieres in early 2016 on ABC Family. IM SO EXCITED FOR THIS!! But how did you know they will be filming for 11days? I love Kat as Clary, she’s so awesome! I almost feel ashamed to say this but, I like Kat as Clary better than I liked Lily Collins as Clary. SO READY FOR THIS SHOW!! !